good afternoon to you all wherever you are. I want to share with you all about the fried rice that I made myself last night. 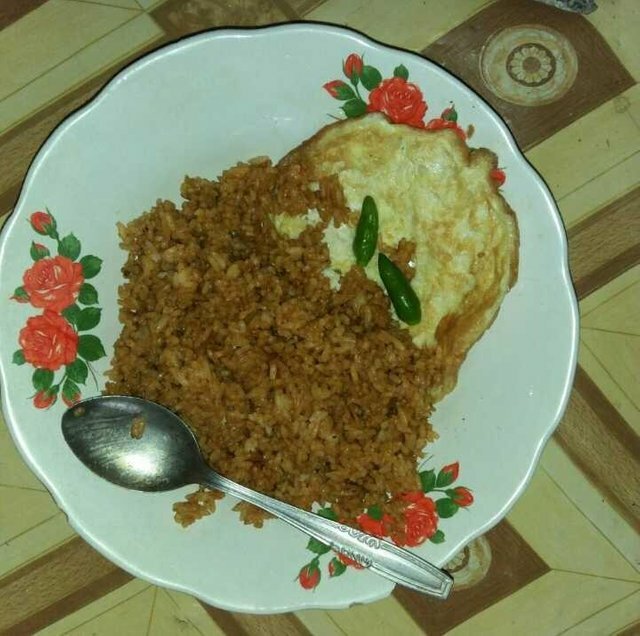 This time I cooked fried rice that received praise from my brother because it feels like he may be satisfied as he bought in ordinary stalls I am very happy to get praise from him because only this time I make my brother happy with my cooking, so that I can share with you all thanks.